There are many advantages to using WordPress.org. The additional flexibility gives you full control over your website – including being able to install any WordPress theme. Sign in to your WordPress.com account and go to your blog’s Dashboard. Click on Export under Tools menu. Clicking on the Export tool will take you to a new page where you will be asked to choose between Free or Guided Transfer. Choose the Free option by clicking on Export. On the next screen you will be asked which data you want to export. Select “All Content” and press the Download Export File button. An XML file will be downloaded in your computer which will contain all of your posts, pages, images, comments, custom fields, categories, tags, navigation menus and other information. Now that you have exported your WordPress.com data, the next step is to set up a fresh WordPress install on your web hosting. WordPress is very easy to install, and it only takes a few clicks. Once you have installed WordPress, it is time to import your content into your new self-hosted WordPress website. 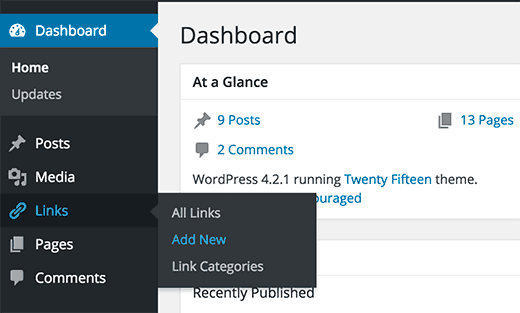 To import your old content from WordPress.com to your new site, you need to click on Tools » Import option in your self-hosted WordPress.org dashboard. Next click on WordPress. You will be asked to install the WordPress Importer plugin. Once you install it, activate and run the importer plugin. 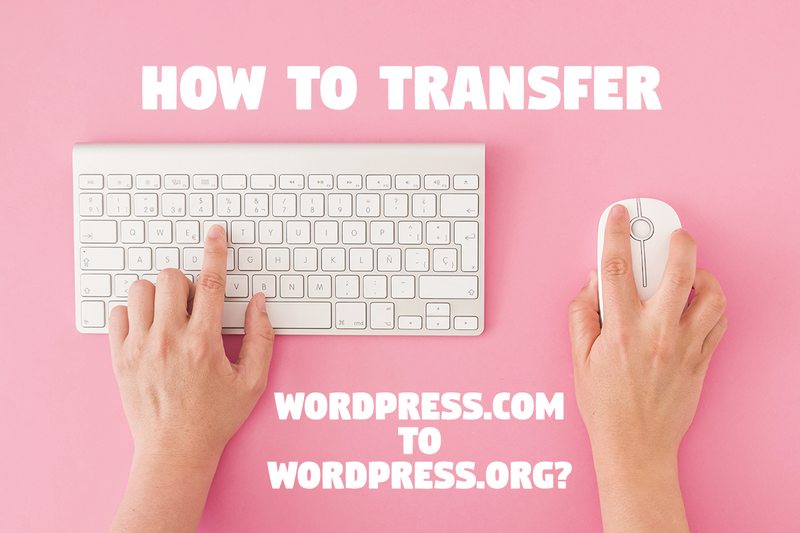 It will take you to a screen where you will be asked to upload your WordPress.com XML file that you downloaded in step 1 of this tutorial. When you start importing, you will have the option of assigning your old content to a current user or create a new user. You’ll also have the option of importing your old attachments (you want to make sure that you check this box to ensure that your images are imported). 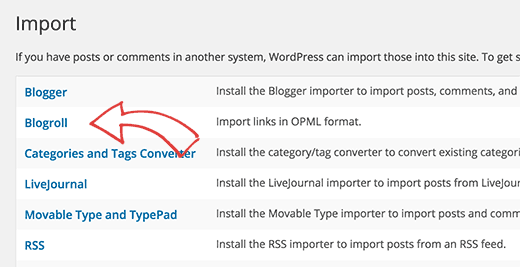 If you had been using the Links feature on your WordPress.com blog to store blogroll or other links, then you need to follow these instructions to export and import them. Users who were not using this feature can skip to Step 5. Your OPML file will open in your browser window and you need to save it to your desktop. Press CTRL+S (Command+S on Mac) to save the file on your computer. First thing you need to do is install and activate the Link Manager plugin. The plugin’s page says that it hasn’t been updated in last two years. That’s because it didn’t need updating and you can confidently install this plugin. Your WordPress site is now capable of managing links and blogrolls and you can safely import them. Visit Tools » Import and click on Blogroll to install the OPML importer. Upon installation you will be redirected to the importer. Where you need to upload the OPML file you saved earlier and click on import OPML file button. The final step would be to set your WordPress.com blog to private. If you don’t want to redirect your old users to your new site, then go ahead and follow this step. Go to the Reading page under Settings tab, from your WordPress.com Dashboard and select the last option, “I would like my blog to be private, visible only to users I choose”. Attention: If you have been writing for sometime, and you have a loyal audience, then it does not make sense to leave them hanging. Furthermore, if your blog has been out there for a while, then chances are that it is indexed in Google and other search engines. You should keep all the search engine juice and easily redirect your old users to your new blog. Redirecting users to new location with a 301 header is the standard solution to keep search rankings while moving a site from one location to another. Since you don’t have access to .htaccess on WordPress.com, you can not make any changes by yourself to retain search engine rankings. However, WordPress.com offers a paid upgrade, Site Redirect, which provides this functionality. Go to WordPress.com blog’s dashboard and click on the Store menu item. The upgrade you are looking for is called Site Redirect. At the time of writing this tutorial, this update was reasonably priced at $13 USD per year. This upgrade provides 301 redirect which allows your site’s visitors and search engines to be automatically redirected to your new site. If you are changing domains, then another thing you want to do is update all in post URLs. If you ever inter-linked your posts, then those links have to be updated. Thankfully, WordPress.com allows you to migrate your subscribers with one condition. You must use Jetpack plugin which adds the same subscribe functionality that you had at WordPress.com. Once you install and activate the Jetpack plugin, you would need to contact the WordPress.com team and ask them to migrate the subscribers for you. Our hope is that in the later versions of Jetpack, this will become easier and users will be able to do it themselves. WordPress is free. However, there are some minimal web hosting costs. Yes you can. WordPress believe in empowering users and giving them full control of their content. If you already have a domain name through WordPress.com, then all you need is a web hosting account. 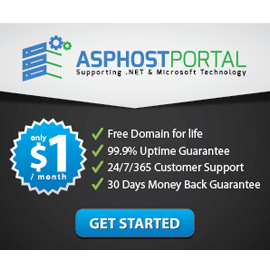 We recommend that you setup with ASPHostPortal or any of these other WordPress hosting providers. During the signup phase, you will be asked do you have a domain or want to register a new one. Simply select the option that I have a domain name, and insert the domain that you registered at WordPress.com. Next thing you would have to do is change the nameservers to point to the hosting provider. We’re able to assist with this as part of our free setups service. You can also ask your web hosting provider for support. If you do it correctly, then NO. The method we’ve suggested above will ensure that your website never goes down. If you’re worried, then know that we are here to help.